Q. Does the absence of a Palestinian state threaten Israel? How? A. Yes, it threatens Israel, and in more ways than one. Without an Arab-state political affiliation for the Palestinians of the West Bank and Gaza Strip, Israel is universally seen as their occupier. Not a single state in the world recognizes the terms “Judea and Samaria” or Israel’s annexation of East Jerusalem. The possibility of restoring a pre-1967 political link, say by affiliating the West Bank in some way with Jordan, has ceased to be realistic in Arab eyes for several decades. This is so despite the fact that some Israeli right-wingers cut off from regional realities and international standards of human rights argue that West Bank Palestinians could enjoy autonomy under Israel and vote in Jordanian elections. Nor is the paternalistic proposal put forth by some on the Israeli right—to the effect that Palestinians in the West Bank can in perpetuity enjoy “human” rights but not citizenship rights on the land where they live-- viable in the eyes of Palestinians or anyone else in the world. Palestinian Arabs today identify as Palestinians in a political sense. If they cannot achieve sovereign statehood, the only fallback position they are likely to recognize is Israeli citizenship within the framework of a single state. This brings us to the demographic issue. Most demographers today argue that there are already more Arabs than Jews in the land between the Jordan River and the Mediterranean. Some on the Israeli right argue that the totality of Arabs is “only” 40 percent of the total population, meaning Jews constitute 55 percent (another five percent of Israelis are neither Jewish nor Arab). In some cases this figure is achieved by ignoring the two million Palestinians in the Gaza Strip, a highly problematic geopolitical determination. In other cases it is achieved by radically underestimating the number of Palestinians in the West Bank and ignoring the 300,000 Palestinians in East Jerusalem. One way or another, even an Israeli state with a 40 percent (and growing!) Arab minority cannot claim to be intrinsically Jewish. As for a non-democratic state that favors its Jewish over its Arab inhabitants, this is anathema to the vast majority of Jews, to say nothing of the international community. It places Israel in the global family of racist, fascist countries whose prospects for enlightened progress are zero. 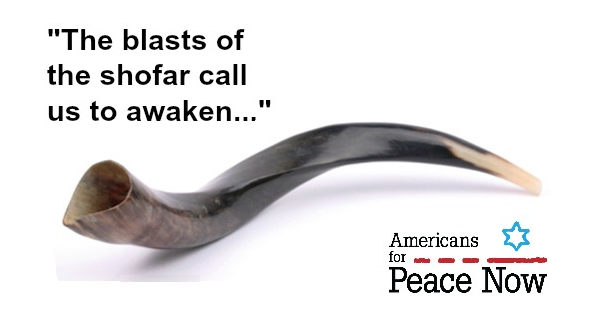 Rosh Hashana is a time to reflect. If your reflection brings sadness - and rage - at the ongoing assault on the values and principles you hold dear, both at home and in Israel, we share this with you. 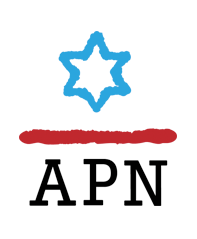 This year, the Israeli Knesset legislated that those of us in APN - who work against boycotts divestment and sanctions (BDS) directed at Israel but who advocate boycotting the occupation and products made in the settlements - are not welcome in the Jewish homeland. Israeli law now states that a visa will not be granted to us because we, as non-Israelis, and APN, the organization on whose behalf we work, knowingly published a public call to boycott the settlements. This year, Israeli lawmakers put on the Knesset’s docket bills to bar foreign donations to Israeli human and civil rights organizations. 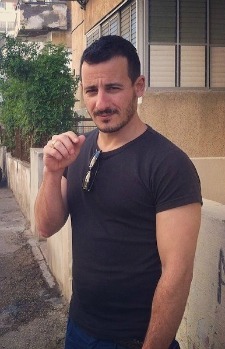 Likud MK Miki Zohar, in proposing the bill, said: “The time has come to dry up [the resources used by] leftist organizations that undermine the government, slander Israel and try to infringe on its right to defend itself. We must block their funding sources and thus prevent them from harming the state.” Not surprisingly, this bill targets progressive donors and does not affect the enormous financial contributions made to Israeli organizations by the likes of Sheldon Adelson. 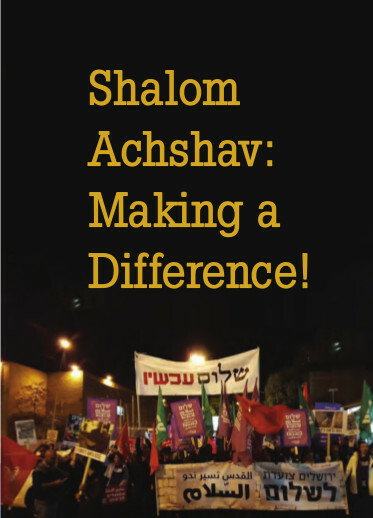 Shalom Achshav: Making a Difference! Israel’s preeminent peace movement, Peace Now (Shalom Achshav), was established in 1978, when 348 Israeli senior reserve army officers and combat soldiers came together to urge their government to sign a peace treaty with Egypt. They knew then what remains true today: Real security for Israel can only be achieved through peace. 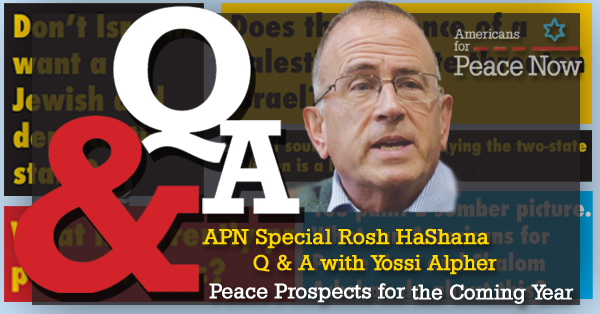 In the years since its establishment, Shalom Achshav has worked for the achievement of peace agreements between Israel and all her Arab neighbors, and has come to be recognized, both in Israel and abroad, as Israel’s leading grassroots Zionist pro-peace movement. With a small staff and a small budget, Peace Now runs several important programs to advance peace and democracy and to help keep the door open for a two-state solution to the Israeli- Palestinian conflict. 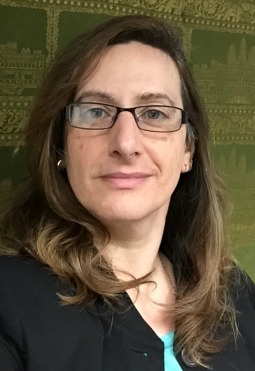 Peace Now director Avi Buskila: "Todah Rabbah"
As the Jewish calendar brings us to the end of another year, I am looking back at an extraordinary twelve months. The political environment in Israel gives us very little cause for celebration, yet Peace Now is indeed making a difference. We are confronting the extreme right and the occupation, advancing the cause of peace and democracy, and keeping the door open for a two-state solution to the Israeli-Palestinian conflict. 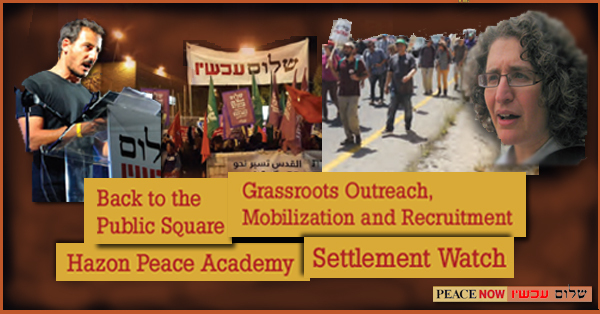 Our highlight event was the May 27th "Two States – One Hope" demonstration in Tel Aviv, marking 50 years to the occupation, which attracted over 30,000 peace activists from across the country. 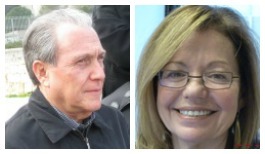 It was a huge success, thanks to the support of many of you. 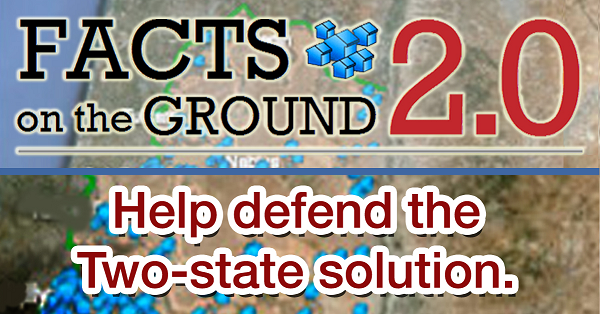 Our flagship program, Settlement Watch, which analyzes and publicizes information on the Israeli government's role in the construction of settlements, was particularly prominent. We took policymakers and policy-shapers - including Israeli and international politicians, diplomats and journalists - on tours of the settlements. The British government wanted us to show its Foreign Secretary Boris Johnson, on a private tour, what the settlements look like. Our legal department repeatedly took the government and the settlers to court, and scored several victories enabling us to make our case against the settlements and the occupation. Earlier this week, a private lawyer hired by the most right-wing government in Israel's history defended the new "Expropriation Law" before Israel's High Court of Justice. His defense of the law – which allows for the legalization of hundreds of illegal West Bank settlement outposts built in part on privately-owned Palestinian land – was that it would actually benefit the Palestinians. Yes, you read that correctly. No wonder that the government’s Attorney General refused to defend the law before the Court. 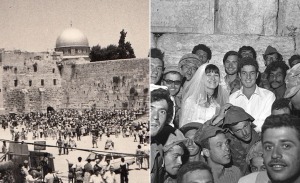 Fifty years ago this past week, the state of Israel erupted in collective celebration after conquering the West Bank, Gaza, Sinai, and the Golan Heights. Having defeated the combined armies of Egypt, Syria, and Jordan in six days, the elation and relief felt by the entire country was immeasurable – and nearly universal. I remember, right after the war, my parents taking the family for euphoric trips to biblical sites in the West Bank and East Jerusalem. My parents, both teachers, marveled at the historic significance of each site, sometimes reading the relevant passages from the Bible. There was a genuine joy of re-connecting to our national heritage. The irony is that, in the wake of its greatest military victory, Israel was led to its greatest political defeat: five decades of conflict and occupation that have left Israel’s future as a Jewish and democratic state severely threatened. 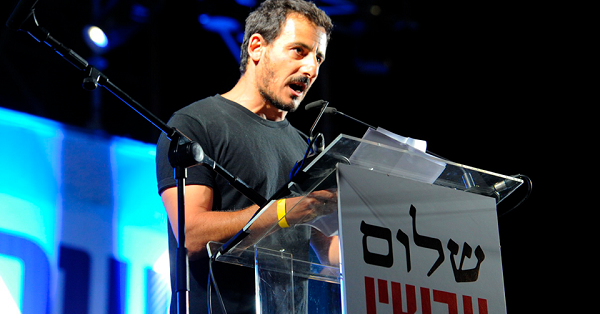 Saturday’s historic rally at Tel Aviv’s Rabin Square was a stunning success. I use the term "historic" both because the rally marked 50 years of Israel’s occupation of the West Bank and Gaza Strip, and because the high turnout – estimated at 30,000 – sent a resounding message to the skeptics and the cynics. Proud, patriotic Israelis came from all across the country to show support for a two state solution, to oppose the government's policies toward the Palestinians, and to demand an end to the occupation that is devastating both our Palestinian neighbors and us, Israelis, as well. The huge crowd of peace activists that you can see in the photo below sent an important message to the Israeli government and to the Israeli public that there is a large, vociferous constituency for peace, willing to fight for it. Addressing the crowd, I urged Israelis, in the words of the famous Shir La-Shalom (Song of Peace,) which Prime Minister Rabin sang moments before he was assassinated at the same place 22 years earlier: "Don't say 'a day will come'/ Bring the day about!" Marking 50 years since Israel captured the West Bank and Gaza Strip, Israel’s Peace Now movement is organizing a mass demonstration this Saturday, May 27th, to protest against the occupation and in support of a peace deal with the Palestinians. I am flying to Israel Friday, and will be at Tel Aviv’s Rabin square the next day, together with tens of thousands of Israeli peace activists, to help show Israelis, Palestinians and the world that there is a robust Israeli constituency for peace. I will be there to bring you the sights and sounds of the Israeli peace camp’s show of force, and to convey your support. Your support helps Peace Now cover the cost of this production – ranging from printing thousands of picket signs to renting expensive sound-amplifying equipment. 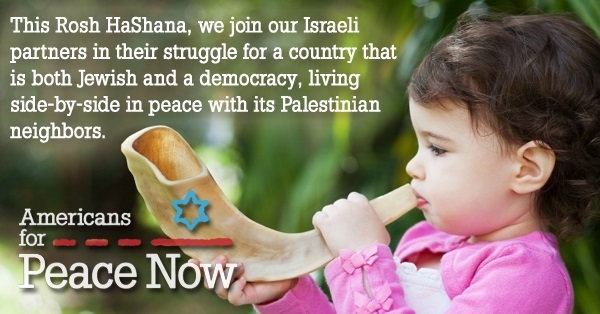 Donate now to help restore hope for Israeli-Palestinian peace. Enough of 50 years of occupation! Before we take to the streets to celebrate "Two States – One Hope," I urge you to watch a brief video featuring Peace Now's Anat Ben Nun. It demonstrates the difficult, on-the-ground work that Peace Now does every day, as well as the passion and commitment that will be on display next Saturday. WATCH: Peace Now's Anat Ben Nun: Help support "Two States – One Hope"